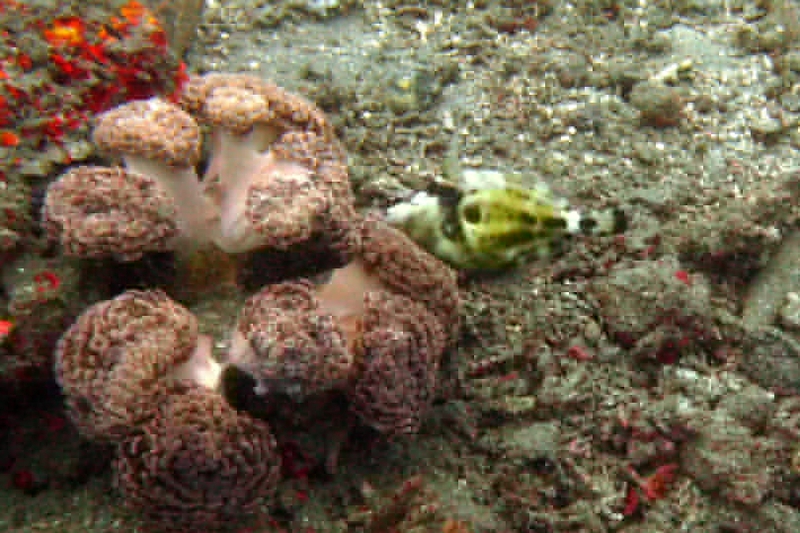 The Spectacled Filefish - Whats That Fish! 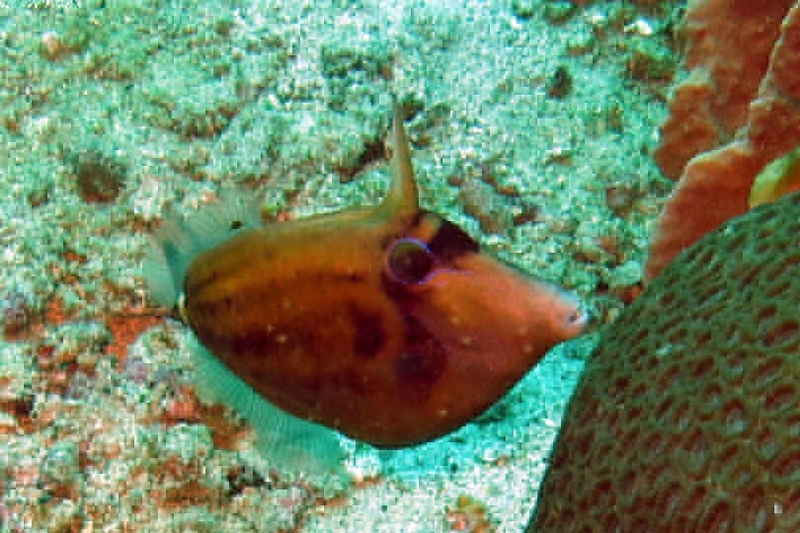 Caption: Spectacled filefish - Cantherhines fronticinctus. 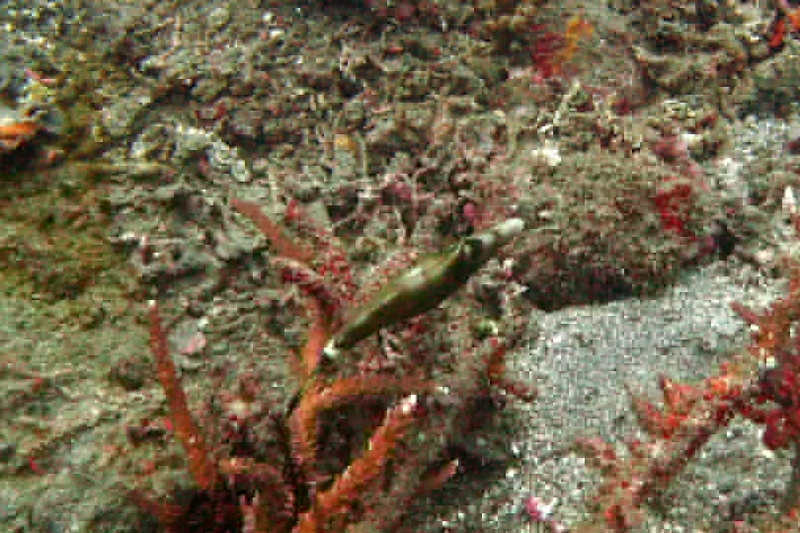 Also known as Spectacled Leatherjacket. 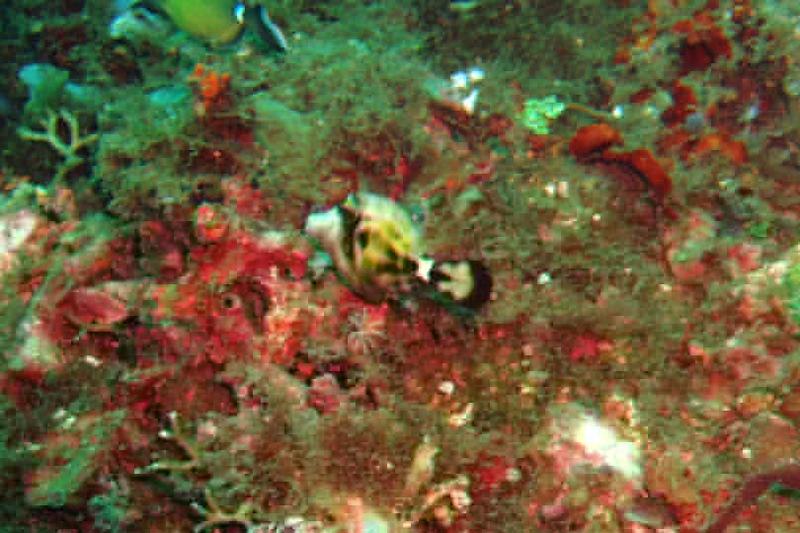 Found singly on clear water inner and outer reefs. Very shy and secretive, remaining close to cover. They feed on invertebrates and algae. 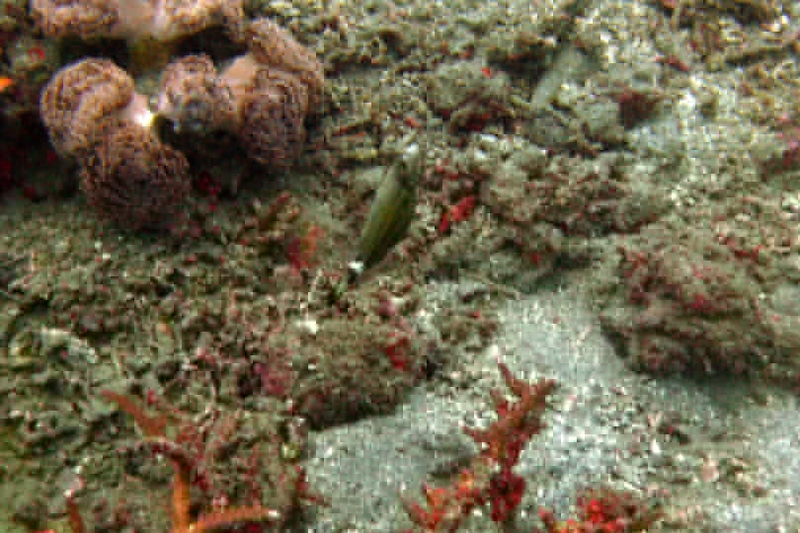 Filefish can alter their colour and pattern to match their surrounds and so deter predators. Although closely related to the Triggerfish, their "trigger spine" cannot be locked into place.